Glynn, John. 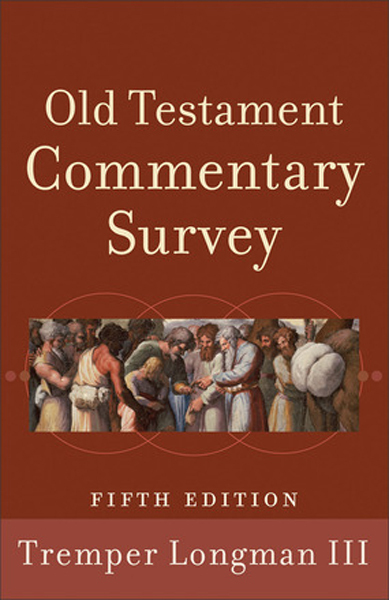 Commentary & Reference Survey: A Comprehensive Guide to Biblical and Theological Resources. Grand Rapids, MI: Kregel Academic & Professional, 2007. 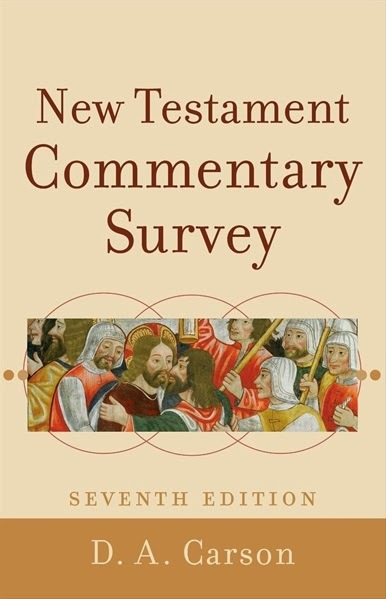 Evans, John F. A Guide to Biblical Commentaries & Reference Works: For Students and Pastors. Oakland, TN: Doulos Resources, 2010. Ancient Christian Commentary on Scripture: Old Testament (ACCS). Ed. T. C. Oden. InterVarsity. Apollos Old Testament Commentary (AOTC). Ed. D. W. Baker and G. J. Wenham. InterVarsity. Baker Commentary on the Old Testament: Wisdom and Psalms (BCOTWP). Ed. T. Longman III. Baker Academic. Calvin’s Commentaries. 22 vols. Reprint, Baker. Hermeneia. Ed. E M. Cross et al. Fortress/SCM. JPS Torah Commentary. Ed. N. M. Sarna. Jewish Publication Society. The Minor Prophets. Ed. T. McComiskey. Baker. New International Version Application Commentary (NIVAC). Ed. A. Dearman, R. Hubbard, T. Longman III, and J. H. Walton. Zondervan/Hodder &c Stoughton. Zondervan Illustrated Bible Backgrounds Commentary. Ed. J. H. Walton. Zondervan, 2009. Hamilton, Mark W., Kenneth L. Cukrowski, Nancy W. Shankle, James Thompson, and John T. Willis. The Transforming Word: One-Volume Commentary on the Bible. Abilene, Tex: ACU Press, 2009. Adeyemo, Tokunboh, Solomon Andria, Kwame Bediako, Isabel Apawo Phiri, and Yusufu Turaki. Africa Bible Commentary. Nairobi, Kenya: WordAlive Publishers, 2010. O'Day, Gail R., and David L. Petersen. Theological Bible Commentary. Louisville, Ky: Westminster John Knox Press, 2009.